I shouldn’t have tried to cram quite so much fine dining into the short time I was in Ghent but it was just too tempting. 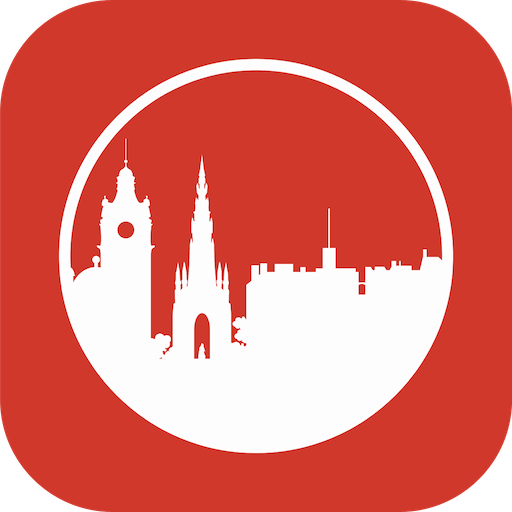 It could have been predicted that after an evening in Publiek followed by revelry in Jigger’s until whenever o’clock would likely mean I’d struggle to give a 12noon lunch booking my best attention, but that’s how things panned out. 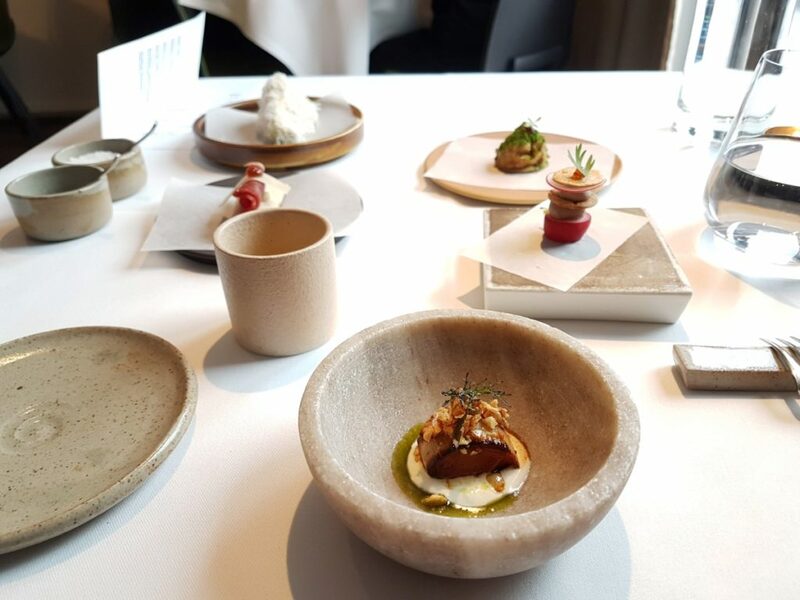 I was hungover but buoyed by expectations of something rather special at 1 Michelin starred Oak. Once I’d found it – it’s unusually hidden in plain sight on the ground floor of an apartment building – I was shown to a window table and brought the menu to consider. Eschewing my normal bubbles in favour of a zippy no-spirit cocktail, I had the fairly straightforward task of deciding whether I wanted to go with their set three course lunch or augment things to somewhere from four to seven courses. I kept things muted by simply adding the extra savoury option and opting out of cheese and desserts. As is the way with many fine dining places, a series of snacks soon arrived, delivered by chef Marcelo Ballardin. These were an extensive procession even by Ghent’s high numerical snackage standards with dishes of charred leek with hazelnut, cream of burnt corn, chicken mousse with pickled radish, aged holstein beef and comté, fermented kimchi, and a little Caesar salad bite. These were dainty and quite exquisite. The first main dish was one of the most outstanding plates of food from my trip. 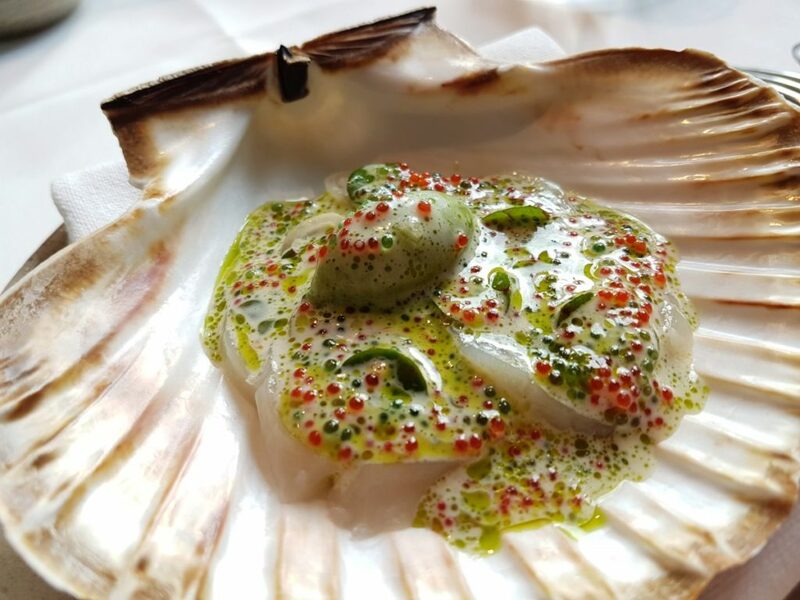 Slices of raw scallop were topped with a fragrant dill ice cream, then finished at the table with a tahini vinaigrette with flying fish roe. The fish roe, in green and red, were incredible and the dish was just so well crafted. 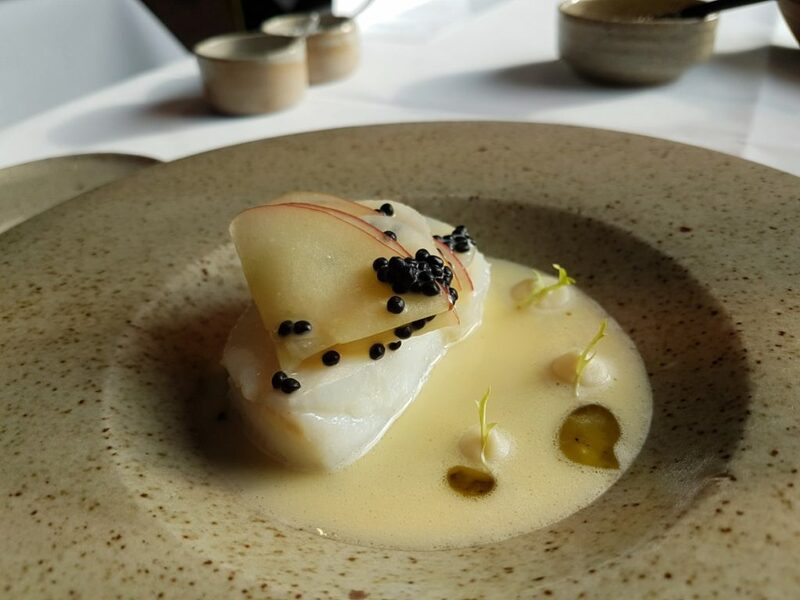 We then had the pleasure of a piece of cod served with celeriac and fermented apple. This was another deft piece of cooking with the fish beautifully flaky and the apple a vibrant pairing. 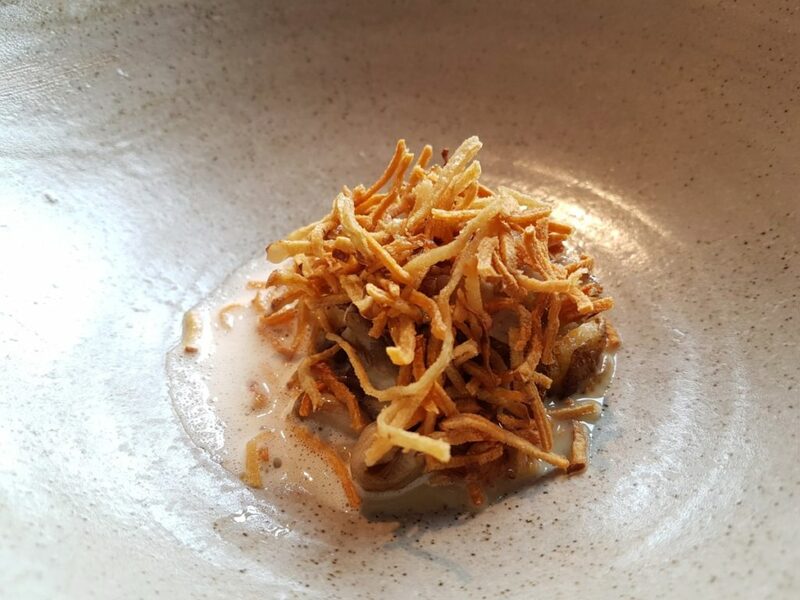 We then had seasonal Jerusalem artichoke, with a local soft cheese, balsamic dressing, and wild mushrooms. This was simple, earthy and elegant. 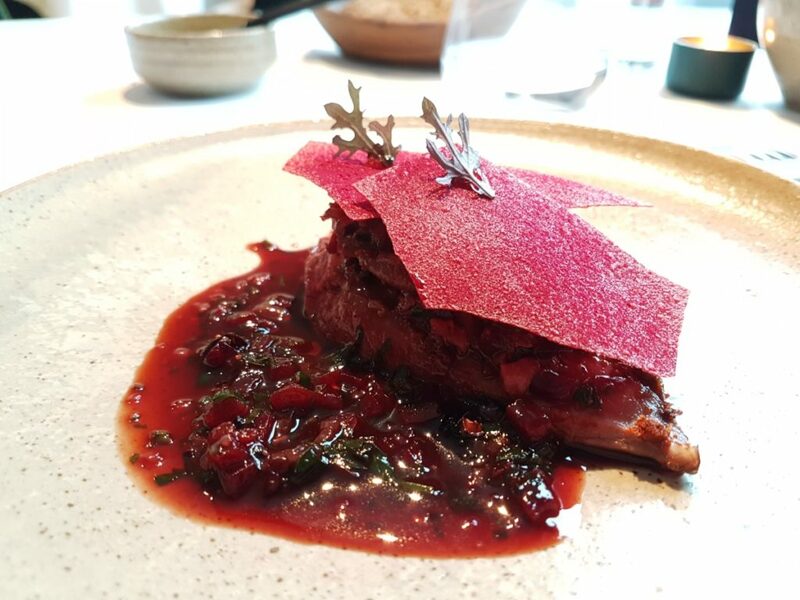 The main course was pigeon breast with confit leg, beetroot, and a raspberry sauce. The confit added real flavour punch and the dish was again a complete joy. While I couldn’t really face anything more after this considerable feast, I did manage a slice or two of the cardamom and bergamot cake that arrived with coffee. It was lovely. Overall, Oak was a truly splendid place. The scallop dish in particular will live long in the memory. I’d be keen to return for dinner when next in town and would thoroughly recommend that you give it a visit.